2018 Halloween IOT Clown Brought to you by Particle, DNN, and Open Source! I need to start out by saying that I’ve been inspired to do all this by some great guys in the Charlotte area and they are Dan Thyer, Mike Linnen, and Jay Ziobrowski… thanks for the motivation guys! I am either copying something creative I’ve seen them do or trying to imitate their passion, talent, and drive for Halloween and/or IOT projects. One day I hope to be as sharp and creative as they are. In 2016 I made a flame throwing pumpkin (copy-catting one of Dan’s inventions) and let’s just say some of the parents weren’t too keen on fire being near their kids and I also didn’t make any fans on the community’s HOA! Though, we all must start somewhere. In 2017 I went the safer route and made the AirGhost which is very similar to this year’s project. This year I have created an IOT Clown. I did some testing and iterating on various ideas and concepts and there’s just no way to get around it… the thrust of compressed air brings a startling surprise and the best part is that it’s safe. We have tons of young kids in our neighborhood and moving a skeleton bone (which I debated in this early prototype) could likely hit someone, cause a toddler to fall, or trip someone up which could potentially lead to a spill on the concrete sidewalk. I don’t want to injure anyone or have some local parents mad at me, so I reverted to the compressed air, but then added a few more movements and changed the medium from a ghost to a clown. Here’s a quick video of the end-product prototype just to show you where we’re heading… I’m going to dress it up a little more by Halloween, but you’ll get the gist. Here’s a video “talk-through” of the mechanical parts and power supplies being used. The Particle platform is awesome! Check out this video of the Particle platform to learn more. I am admittedly a little bit behind all of Particle’s new innovations. I still need to learn about their Mesh and Argon solutions. Even though I’m not 100% up to speed I know you can do tons of creative stuff with the particle platform, their multiple IOT devices, and their integrated IDE. Since I’m using the Particle photon, we’ll start with it. 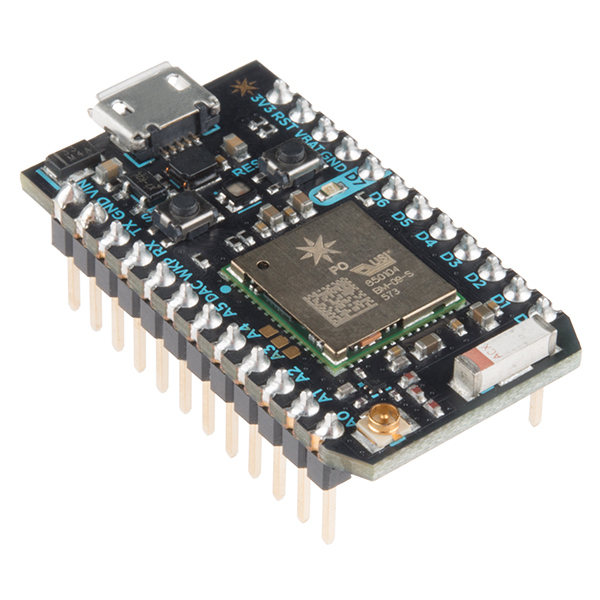 The Particle photon is a small IOT (internet of things) device that makes it easy to bring real world objects online. Particle makes it easy to setup the device and to connect to Wifi via a mobile app. If you want to know more about initially connecting and getting up and running with Particle they have some of the best documentation I’ve seen check out the doc, tutorials, and guides. For this project all I really want to do is to move 3 servos… one for the head to spin, one for the head to roll, and one to push the handle on the air compressor. To do that we need to use the components I listed above + Particle’s platform + some code. I’ve listed out the components and just introduced the photon… now let’s look at some code. Particle’s platform is awesome, but we need some code to make things happen! I could easily copy and paste code here, but that wouldn’t help you understand the “why” and “how” behind some of the concepts. I hope to help you connect some dots here and as such I’ve cut a video walking through how I’m doing some of this stuff. The video shows code and includes videos of the device in action. To all you senior devs… yes, the code shown in the video could be much better. I have not refactored anything yet, so the code is not nearly as efficient as it could be. And yes, I showed my handy Particle access token in the video… no worries though, by the time you read this I’ve already recycled it and created a new one. If you take the sum of all the info presented here that is how I’m making this happen! And We Wait on Halloween! Halloween is just about a week away at this point. If you have any questions or issues filling the gaps in this high-level tutorial, please reach out and ask your question. I plan on trying to video some of the fun at Halloween and posting any interesting reactions here just below this section… so stay tuned! Check out some of the reactions we got from kids and a few adults!